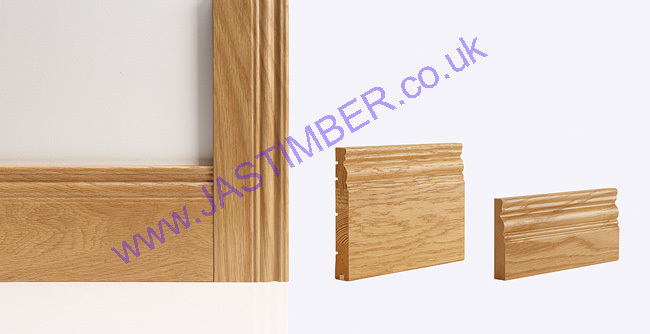 Deanta Doors, Door Frames & Skirtings are available from JAS Timber! Deanta Doors, Door Frames, Skirtings & Architraves are available to buy online from JAS Timber now! Complement your Deanta Door with beautifully crafted Door Frames, Skirtings & Architraves. Because Deanta manufacture all their own products, they can guarantee that all of the timber comes from the same source. This results in a perfect match between your new door and the skirting and architrave. All Deanta Oak & Walnut Skirtings and Architraves are handcrafted from the finest, FSC-certified North American Oak and Walnut. Unlike other UK door companies, Deanta Doors have their own manufacturing facility. This not only allows Deanta to control door supply but it also allows them to have full control of the quality control process to ensure every door that leaves their factory is of the very highest standard. 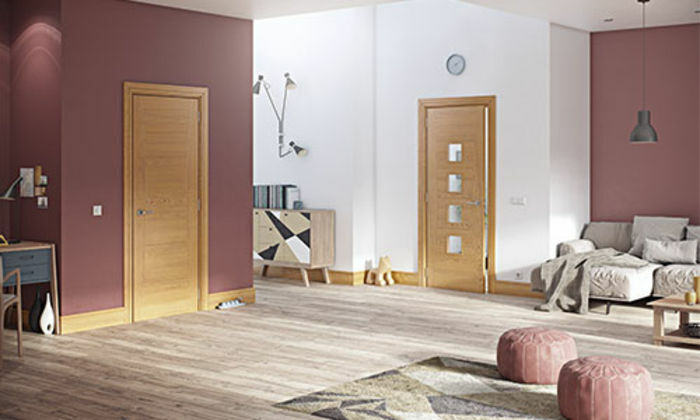 This also enables Deanta to be extremely competitive on price, as well as surpassing expectations on service and giving them the flexibility to have doors manufactured to exactly meet the end users’ specifi­cation, such as their wide range of Fire Doors. Deanta's team of craftsmen use the latest state-of-the-art technology to achieve a perfect finish with an exceptionally high standard and lasting quality.­ The team are also able to offer bespoke doors to meet your exact requirements – in any size and any finish.